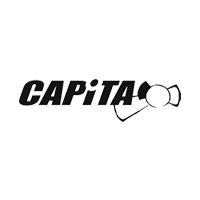 Founded in 2000 by Blue Montgomery, CAPiTA celebrates 15 years in the industry ths year. CAPiTA snowboards have grown from their humble beginnings in a garage in West Seattle to the Austria-based 'Mothership', their base for production with their own on-site test centre. CAPiTA's philosophy promotes sustainable initiatives backed up by their 100% hydro-powered facility producing zero CO2 emissions and use of reforestation certified wood cores. The CAPiTA Snowboards Winter 2018/2019 Collection is now in stock, featuring The Black Snowboard of Death, Defenders of Awesome, Outerspace Living, Ultrafear, Horrorscope & Scott Stevens Pro, to suit a whole range of riding styles. The women's Paradise, Space Metal Fantasy and Jess Kimura Pro are also in stock. We also have a range of Capita Demo Snowboards available to test out at our base in Chill Factore, Manchester.